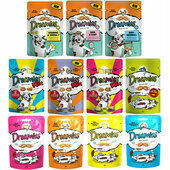 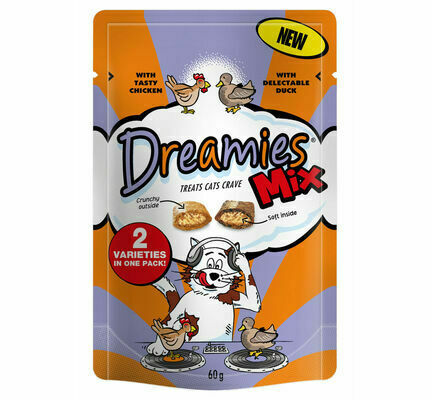 Packed full of flavours that cats just cannot seem to get enough of, these assorted packets of Dreamies cat treats contains both Chicken and Duck flavoured treats to ensure that well behaved cats gets to enjoy a little bit of variety as they are rewarded throughout the day. 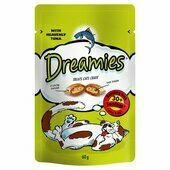 With only 2 calories per treat, you will not have to feel guilty about over-indulging your cat when it has been particularly good, and with around 248 individual Dreamies cat treats in this discounted bulk offer, it is unlikely that you'll run out any time soon. 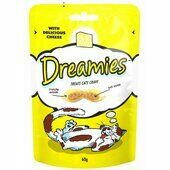 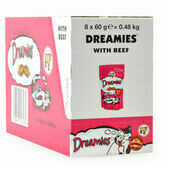 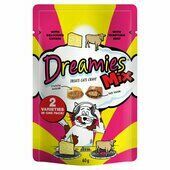 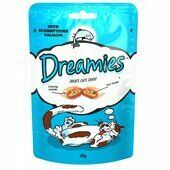 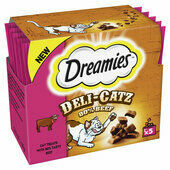 Dreamies cat treats have a crunchy outer shell that your cat will have to work its way through in order to get to the soft inner core. 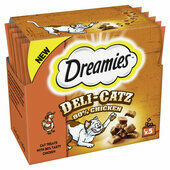 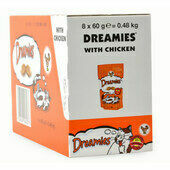 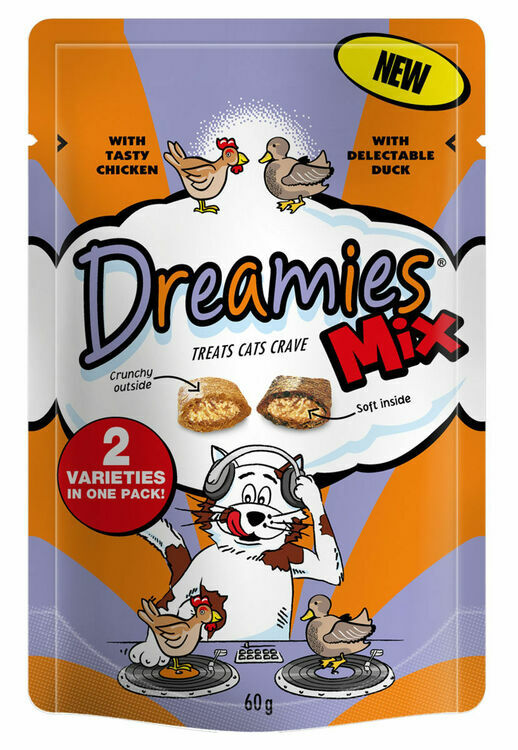 These two features make Dreamies Chicken & Duck treats particularly enjoyable for cats, who seem to relish the texture and tastes of these two flavours.